an interior designer. The two-car tandem garage has direct entry into the unit and is located adjacent to additional parking for you and your guests. 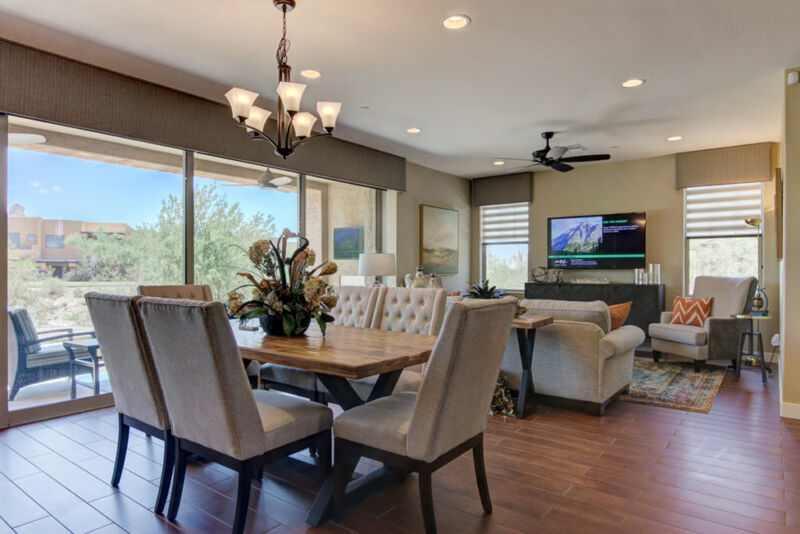 The open floor plan allows for seamless entertaining with the large expanse of pocketing doors highlighting the 9th hole of the Monument course, mountain and sunset views. 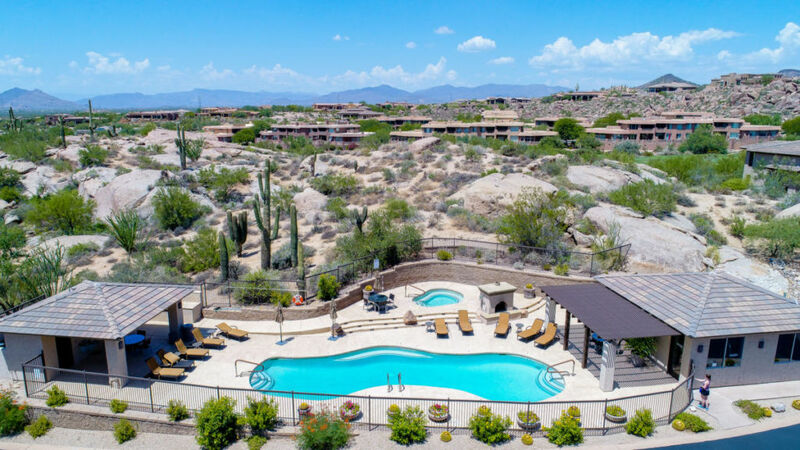 Enjoy two en suite bedrooms with all the upgrades, and a separate den/ flex space featuring a custom built-in credenza and stacked-stone accent wall. 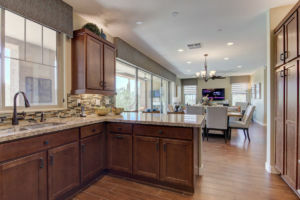 The kitchen has ample cabinet and counter space with a stainless-steel appliance package, eat-in peninsula, mosaic tile backsplash, gas cooktop, and designer cabinet lighting.